DNB Dojo: Hi Guys, how are you all doing today? Kolectiv: All good thanks, pretty hot at the moment but we can’t complain about the sunshine, can we?! DD: So, you’re back on Dispatch this month, on the main label this time after a couple of releases for Dispatch LTD. How does it feel to step up to the top tier of one of the scene’s best-known imprints? K: It feels like justice has been done, ha-ha. No, to be honest it is a great achievement to have our progression recognised. In today’s scene it is easy to get lost in the amount of talent that’s out there. So, we are all very happy to have this release as this is the first wave of new tracks since we upped our game. DD: Both the EP title Omega Point and track names like The Third Perspectiv and Age of Enlightenment seem to have a philosophical bent to them…care to tell us a bit more about these ideas or inspirations? How much deeper or hidden meaning do you try to instil in your music? K: We tend to use science & spirituality as a reference, Keza enjoys naming the tunes as well as singing Bassman and Palmer the Charmer lyrics. All the titles are related. Omega Point was a reference to the future, the centre point of the universe and the source of infinite information. Age Of Enlightenment refers to our past and was the coming together of these ideals in the 18th century. 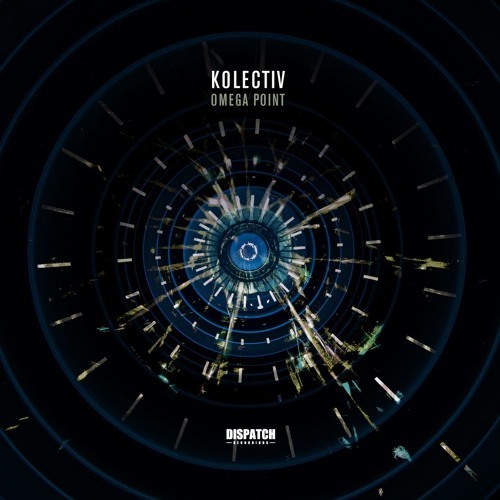 The Third Perspectiv was a bit of a play on words, this is the only solo Kolectiv track on the EP where all three of us were involved and Kalm loves to talk in the third person. Red Shift is when the wavelength of light is stretched, so the light is seen as ‘shifted’ towards the red part of the spectrum. Something similar happens to sound waves, so this was a much more geeky title, which suited the four us, in particular Carera, who is the resident studio geek. We don’t set out to instil deeper meaning in the tracks themselves, they usually arise out of the feeling each track invokes. DD: Which leads me nicely to Philth enthusing about your collab Red Shift online the other day and talking about how fun the day in the studio had been. How chaotic was it having four heads in the room and a limited amount of time to get something finished? K: Well when working with Philth we always follow the four F’s – Fun, Food, Fun, Food. It works a treat and we even have our very own Kolectiv Burger as a result. In terms of time, we don’t put too much emphasis on time frames and we just let things happen when they are supposed to. DD: You’ve also got a collab with Berlin duo Survey on the EP, was that also done in person or online? Do you find you work best when everyone can share the same space, or are online collabs just as effective? K: They are definitely different. For us, collaborating in the same studio space takes on more of a jam format. We all play different elements of the track live and choose certain loops from those recordings. Online collaborations, like the Survey one, evolve from a Chinese whispers scenario. Either one of us can start an idea and forward it on and then the subsequent parts are added in the style of that producer, or even that producer trying their hand at the style of the originator. It makes for very interesting results. We wouldn’t say one or the other is better, although recently we have been enjoying jamming a lot more. That may be to do with the ever-growing list of equipment inhabiting the studio. DD: Your tracks here seem to be part of a growing trend in D&B recently for a slightly more stripped back approach, with a bit more focus on the drums and basslines and less emphasis on filling every possible frequency all of the time. Is this a deliberate reaction to the more maximal neuro that’s around just now? K: No, we wouldn’t say so. We have always been pushing that sound from our inception and there is a lot more going on in our tracks than ever before. It is just about the illusion of space and how you manage it. At the end of the day the music is called Drum & Bass for a reason and our preference is for us to maximise the emotional impact in the most efficient way possible, without resorting to unnecessary noise. That isn’t a slight on other styles, there are some heavy neuro tracks we love, as there are tracks we love in all styles of DNB. DD: Any releases or events coming up you’d like to shout about? K: We would like to give a shout out to Dexta at Diffrent Music. We have an EP due out this summer with Medika. This is a more experimental offering which still retains our core values of how we like to produce music. We are very excited to see the reaction to it. Final release date should be mid to late August but keep your eyes on the Diffrent social media accounts and of course our Instagram and Facebook pages for more updates. DD: Last up, give us your current top 3 tunes. The Omega Point EP is out now on Dispatch Recordings – hit up their Bandcamp store to grab yourself a copy.